Food tastes better when you put some thought into it first. Don’t you agree? I got hooked on hemp milk lattes at Chaco Canyon Cafe, my favorite study spot for the past 4 years. I’m going to miss them! Put all ingredients in Vitamix or high speed blender and mix it up for 90 seconds. I strained this through cheesecloth, but the seeds are so small you really don’t need to, there were no solids left to discard. Top with a dash of pumpkin spice mix to taste. This tastes rich and creamy and is high in protein and amino acids (unlike rice milk), and is a great alternative to dairy and soy. Heated up with some extra spices, it’s a nice alternative to coffee in the morning, or added to cereal to give it an extra nutty flavor. 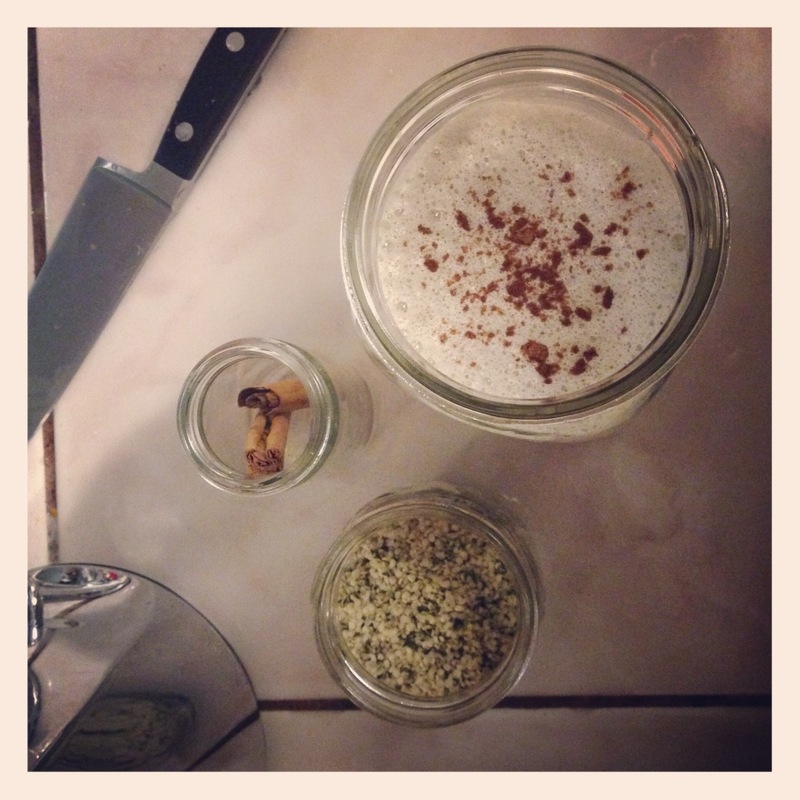 What’s your favorite way to enjoy hemp milk? I have to try this! It looks so yummy!